Join Mitchell College faculty, staff and students for a book discussion held at the library on Wednesday, November 2 at 5:00 p.m. 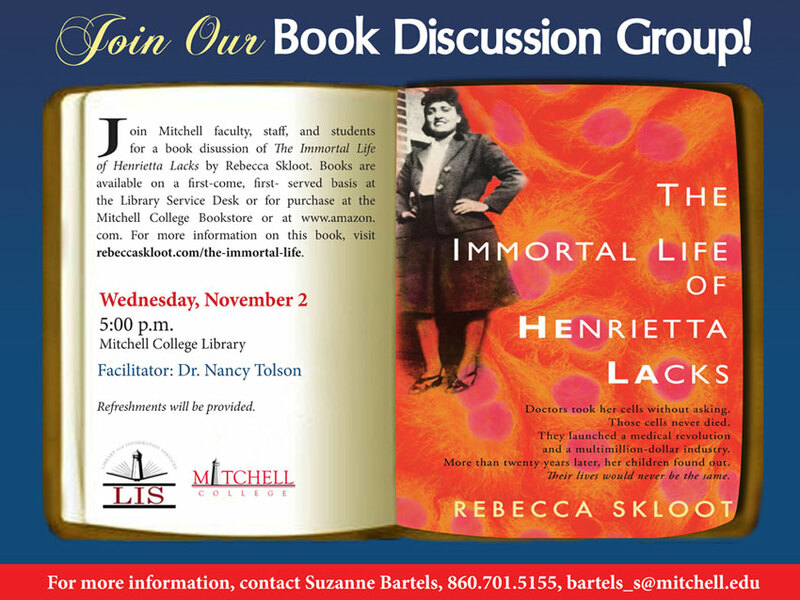 This discussion, led by Dr. Nancy Tolson, will explore The Immortal Life of Henrietta Lacks by Rebecca Skloot. Refreshments will be provided. Copies are available now at the library main desk. Or, purchase a copy at the Mitchell College bookstore or on Amazon.com.